Plastic is undoubtedly an internationally hot topic at the moment – whether it’s how much plastic we consume, how much plastic we waste, or how many plastic particles are finding their way into our ecosystems. The spread of plastic particles is increasingly concerning and is highlighted in new research that came out earlier this month. Researchers at the State University of New York found that 93% of the bottled water they tested contained tiny particles of plastic. This study is the largest investigation into microplastic contamination in bottled water to date. 259 bottles were examined which were bought in 9 different countries: Brazil, China, India, Indonesia, Kenya, Lebanon, Mexico, Thailand and the US. 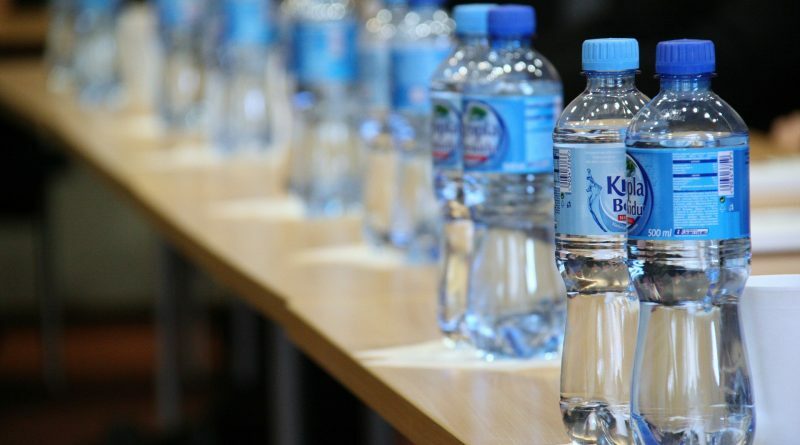 Researchers bought bottled water from global and national brands such as Aqua, Evian, Nestle Pure Life and San Pellegrino. Polypropylene, the type of plastic used to make bottle caps, was discovered to be the most common type of plastic fragment in bottled water. It is most likely that the plastic particles are ending up in the bottled water from the packaging process. Plastic particles aren’t just present in bottled water. Previous studies have shown that plastic particles are found in tap water, seawater, beer, and even the air. For example, microbeads are completely made of plastic and have been used in products such as toothpastes, shower gels and facial washes. These microbeads are non-biodegradable meaning that they do not break down. When we use these products in the bathroom, the water that we wash them off with then goes down the plug hole and ends up in the sea, along with the small pieces of plastic. Consequently, marine life is suffering because animals are unable to distinguish between microbeads and food. It has been proven that animals at the bottom of the food chain are ingesting these microbeads. Fish have been found to have small plastic fragments inside their guts and body tissue. The worry is not only for the marine animals themselves, but also to us as consumers of fish. How will these particles affect us? As it stands, there is currently no scientific evidence that consuming such tiny particles of plastic causes health problems for humans. However, concern still persists. Back in 2015, President Obama signed a ban to prohibit the use of microbeads in personal care products. More recently, in January 2018, the UK banned the use of microbeads in cosmetics and personal care products, along with Canada. Many countries across the globe have pledged to ban microbeads by the end of 2018. This new evidence from the State University of New York has triggered the World Health Organisation to review the potential risks of plastic in drinking water. Hopefully we will find out more soon as to how harmful plastic particles are for us and the environment.